THE PRIZE: Today you get three gorgeous lip colours as one prize. The first Art Deco Lip Brilliance in a beautiful sparkling pink - lovely on it's own or to add a touch of sparkle over a lipstick. 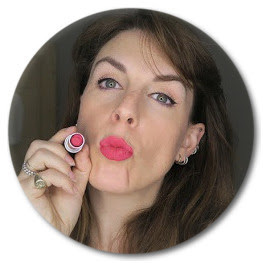 The second is Bare Minerals Marvelous Moxie in a deeper colour for a little more drama and lastly there is is Collection's Cream Puff in Fairy Cake - this is an amazing matte finish lip cream. It's long lasting, not drying and this colour is really beautiful on any skin tone. Collection 2000. I still actually call it that, it's a habit I can't get out of!